You can see things you wish you didn’t see by doing this on someone elses computer! You can find cold things in their refrigerators, too, genius. You can Enable Parental Controls on Mac and that can be used to disable Safari Private Mode. If logging isn’t practical or you want to be more proactive and prevent Private Browsing from being accessible in the first place, it is possible (though not a short process) to disable Private Browsing if you are willing to mess with Safari’s internal files. Note that macOS 10.12+ will not allow you to modify, overwrite, or delete Safari. You can make the following modifications to a copy of Safari and put that version in the Dock, but the original Safari will still need to exist in the Applications folder. Compile the project. This will produce a file named NibDecompiler.action. You can now close the project. Note that this involves editing the Safari internal files. 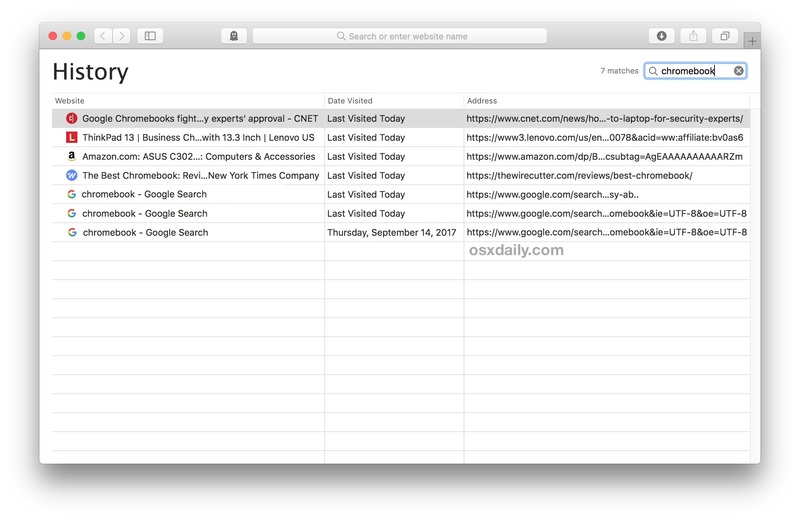 You will need to redo these steps every time you update Safari. This will open the app as if it were a folder. Go to Contents, then Resources, then Base.lproj folder. Find MainMenu.nib. Copy it outside of the package somewhere (like the Desktop). Right-click on the file and choose “NibDecompiler”. The file will be made editable. In the window with the Safari menu, choose “Safari” to expand it. Click on the “New Private Window” menu item. Hit the delete key to see it disappear. Back in the Base.lproj folder of the Safari app, make a copy MainMenu.nib just in case something goes wrong and you need to restore it. Copy your edited MainMenu.nib to Base.lproj, overwriting the existing one. Open Safari to make sure that it still opens (if it doesn’t, restore your original MainMenu.nib file). (Optional) If everything works, you may delete the backup MainMenu.nib if you so choose. By removing the “New Private Window” menu item from the menu bar, they will not be able to enter private browsing. Additionally, keyboard shortcuts are tied to menu items, so that’s disabled too. * ~ means your user home directory. Library is a hidden folder that isn’t visible when you navigate to the home directory. 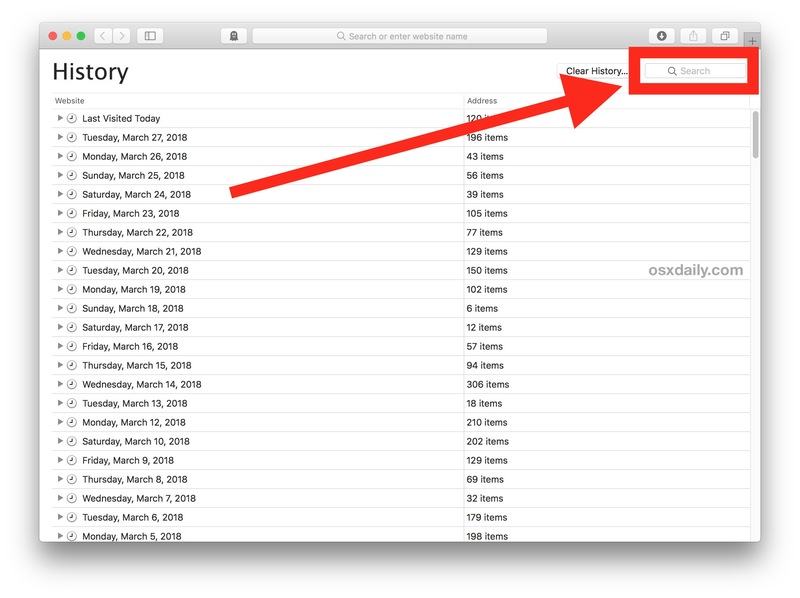 You can get to this folder in the Finder by going to the “Go” menu and choosing “Connect to Folder…”, then typing in ~/Library. You will then see the folders you need to copy files to. I used to use history a lot when I created a search in Safari. After going to a website that lead to further exploration it would sometimes take clicking the back arrow several times to get back to the original search and it was quicker to go to history and just click on the original search. Since one of the recent updates I have been unable to find the original searches any more. I don’t know if I am just not seeing it or if it isn’t there. Anyone else have this problem? My safari on my MacBook Pro is getting buggy and a lot of things aren’t working, like I can’t click on an email address to start an email from the mail program, I click and nothing happens. Now I am trying to find a web page from a few days ago, so I try to go to ‘show all history’ but nothing happens. I can’t get my history to show in the browser!! It does have recent history, it’s just that I can’t access my whole history like I should be able to. What gives?